When you imagine beach escapes in the New East, you might (rightly) think of Croatia’s Dalmatian coast, Bulgaria’s Sunny Beach or the palm-lined seafront of Yalta in Crimea. But where do you go for a waterside getaway if you find yourself in a city less known for its sandy stretches, and maybe even lacking a coastline at all? The Calvert Journal brings you ten idyllic local summer escapes, all within easy reach of a New East capital. A little more idyllic than the ever-popular Hydropark, on lush Trukhaniv Island it’s easy to forget you’re in the middle of a capital city. 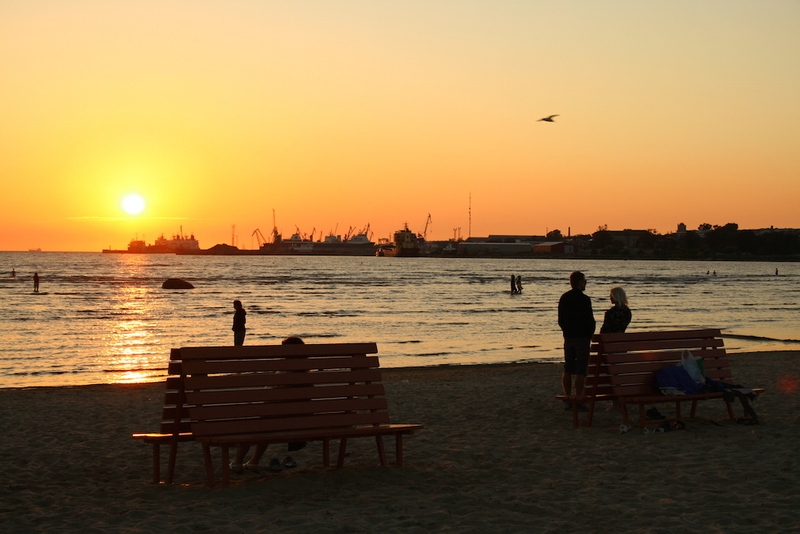 Set on the southwest edge of the island, Central Beach is among Kiev’s cleanest. Here you can sunbathe on the sand, indulge at one of the many nearby cafes and restaurants or perhaps take to the water on a rowing boat. Trukhaniv Island is also home to a wealth of watersports and other activities for those who like to get their hearts racing — in winter some parts are even used for cross-country skiing. 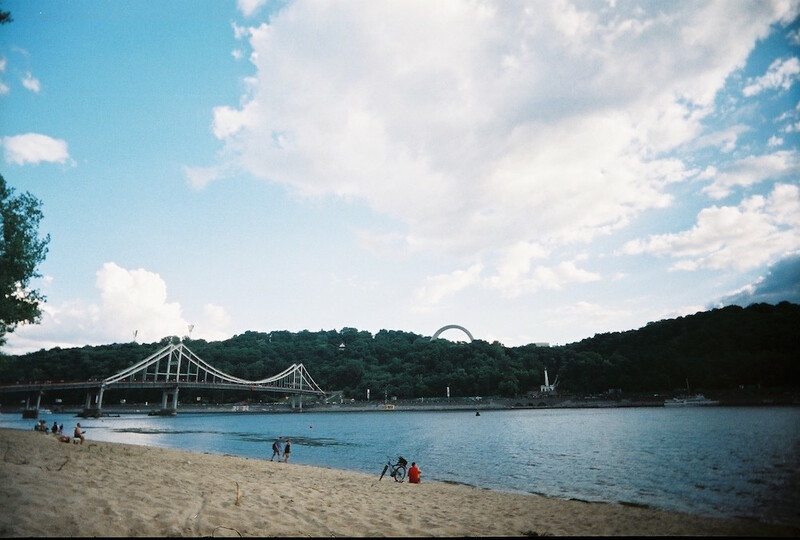 Located across the Dnipro River from Kiev’s historic Podil neighbourhood, the island can be easily reached on foot with a short walk over the Park Bridge. Been partying too hard and looking to slow down in Belgrade? 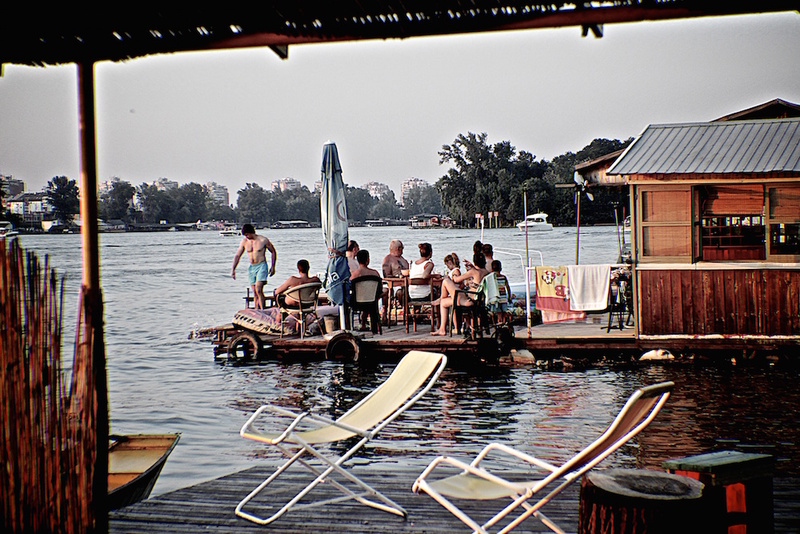 A secluded spot on the Sava river, Ada Međica might just be the spot. A small, scenic island covered in forest, Ada Međica offers activities of the laidback variety, include swimming, sunbathing, walking and picnicking. In fact, given that the island’s population is entirely made up of Belgraders looking for escape (there is no permanent resident community), you could say that Ada Međica truly is relaxation central. Accessible by boat from the Sava quay in New Belgrade Block 44, Ada Međica is not set up for tourists and has no hotels. In many ways this only adds to its appeal, however, and you are sure to be charmed by the island’s floating cabins and stilt houses. 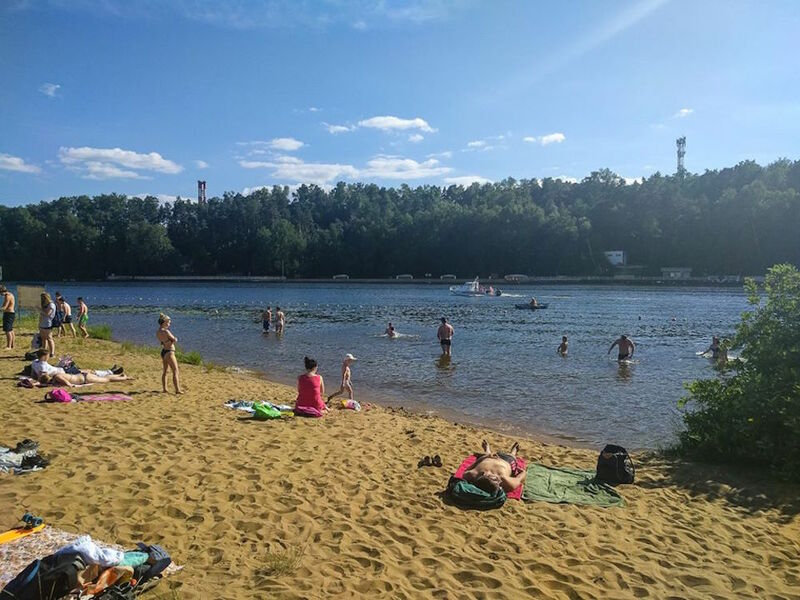 Set against the backdrop of the Serebryany Bor forest in northwestern Moscow, which is particularly famous for its pine trees, Serebryany Bor 3 is among the cleanest beaches on the Moskva River. Although still very popular among Muscovites, Serebryany Bor 3 is a little more remote than its neighbours Serebryany Bor 1 and 2, with its verdant surroundings and secluded location certainly adding to its sense of tranquility. Nevertheless, the beach offers ample facilities and plentiful opportunities for watersports. To get there, take bus 390 to the Beach No. 3 stop or take the trolleybus from the Polezhaevskaya or Shchukinskaya metro stations, which will drop you a little further (but a very pleasant walk) away. When it’s not playing host to the lively INmusic festival, southern Zagreb’s Lake Jarun offers a peaceful escape for residents of the Croatian capital. A one-stop shop for swimming, windsurfing and canoeing, the lake is also popular for more land-based pursuits — get on your bike or skate around the lake with the cool kids, Venice Beach-style. If you stick around until the sun goes down, you’ll see that the surrounding area is something of a nightlife hotspot, with many cafes and bars at your disposal. Lake Jarun is a convenient getaway whatever the season, but during the summer months it seems as though half of Zagreb disappears to the Crikvenica-Novi Vinodolski Riviera (sometimes referred to as the Zagreb Riviera) of a weekend, so you might end up feeling like you have the place to yourself. 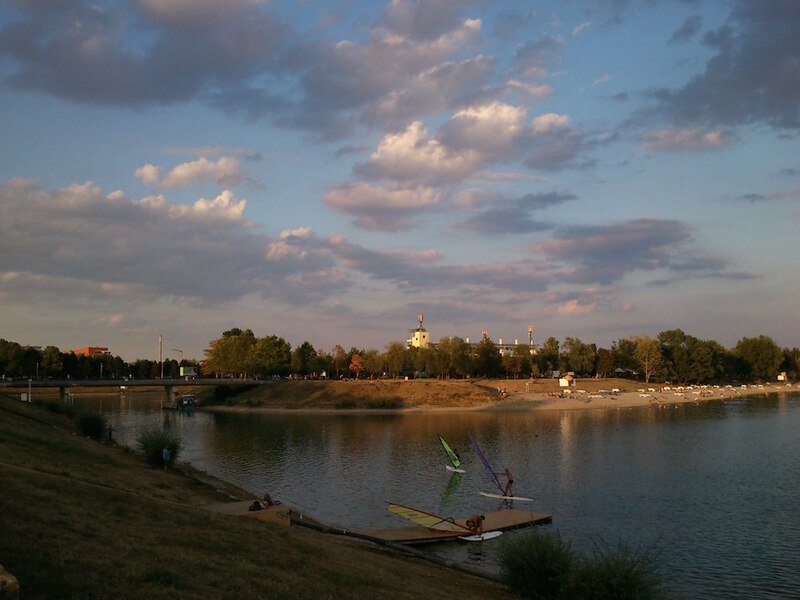 To enjoy the lake, take tram 5 or 17 to Jarun and follow signs to the “jezero”. 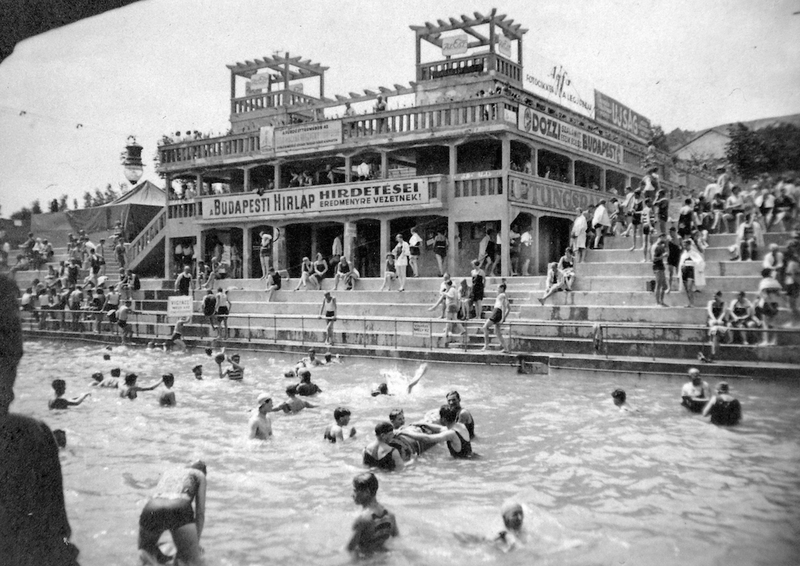 First opened in the second half of the 19th century, Csillaghegyi is the oldest open-air bath complex in Budapest. Beloved among locals, Csillaghegyi is arguably the most romantic of the city’s baths, owing greatly to its location built into a hillside and the extensive landscaped park that surrounds the pools. Swimming make you peckish? Rumour has it that the waffles on offer at the snack bar are excellent. While it is particularly pleasant to take a dip in one of the mineral water-filled pools during the summer months, Csillaghegyi also operates in the winter, when one of the pools is covered by a canvas tent roof and the Finnish sauna comes into its own. The complex is set a little out of town but within easy reach of the city, via the Szentendre HÉV and buses 160, 134 and 234. Although Prague is home to a number of outdoor swimming pools, nearby Lhota Lake offers an appealing alternative for those who want to feel a little closer to nature. Full disclosure: Lhota is manmade and was formerly a sand mine, but the surrounding pine trees certainly help you forget that. 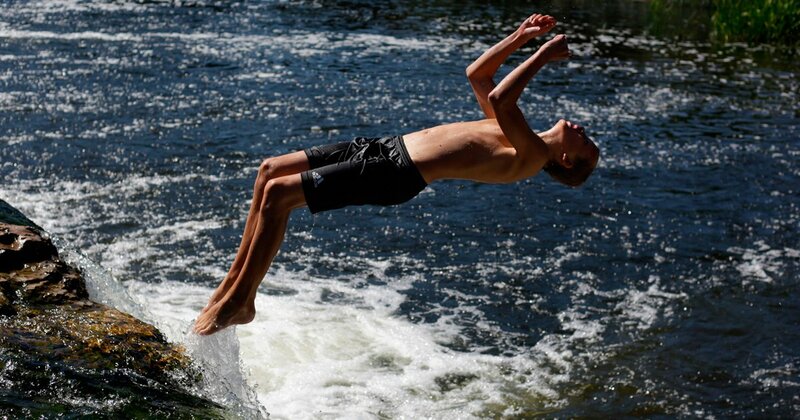 Mind you, the lake’s artificiality does have its advantages: just wait until you feel the soft sand under your feet. Once you’ve enjoyed a splash around in Lhota’s exceptionally clean (and regularly monitored) waters, you’ll be able to find some typically tasty Czech refreshments at the kiosks around the lake. 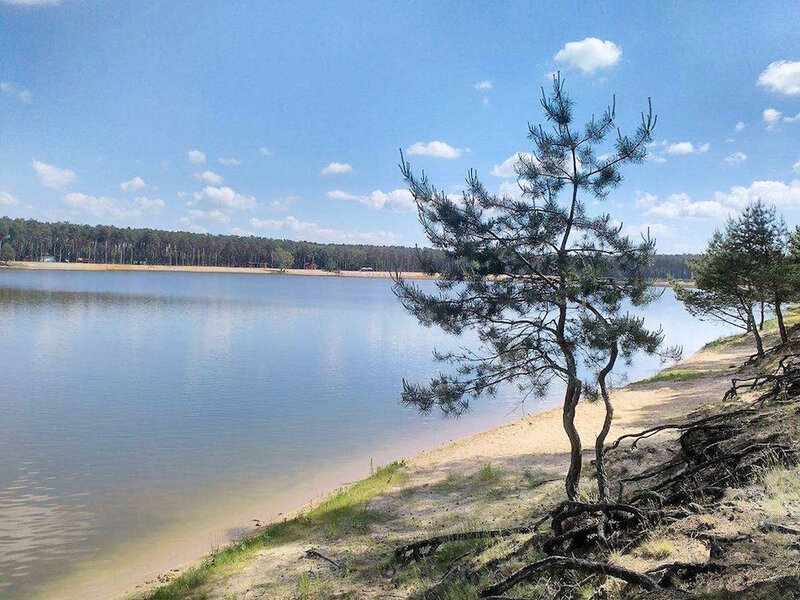 Just 20km from Prague, Lhota Lake could be the perfect day trip from the city. 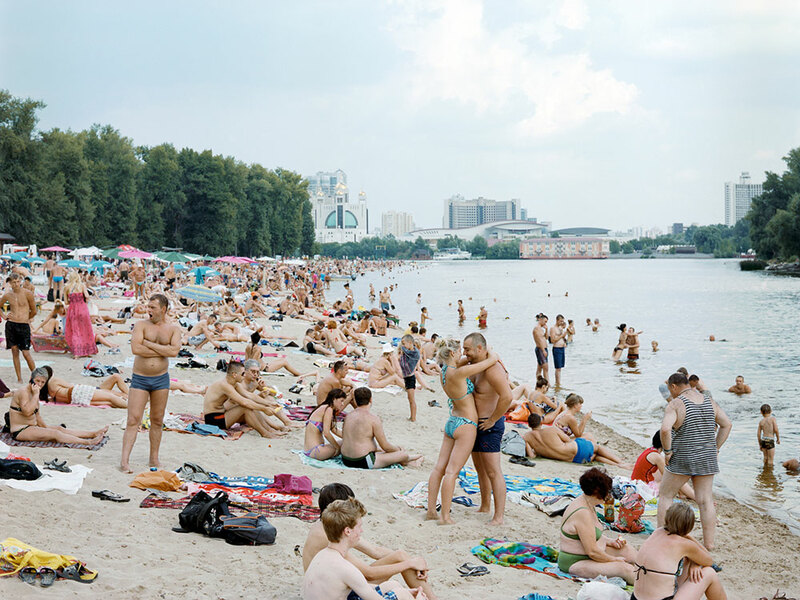 During the Soviet period, Jūrmala was a popular destination for holidaymakers from across the USSR. 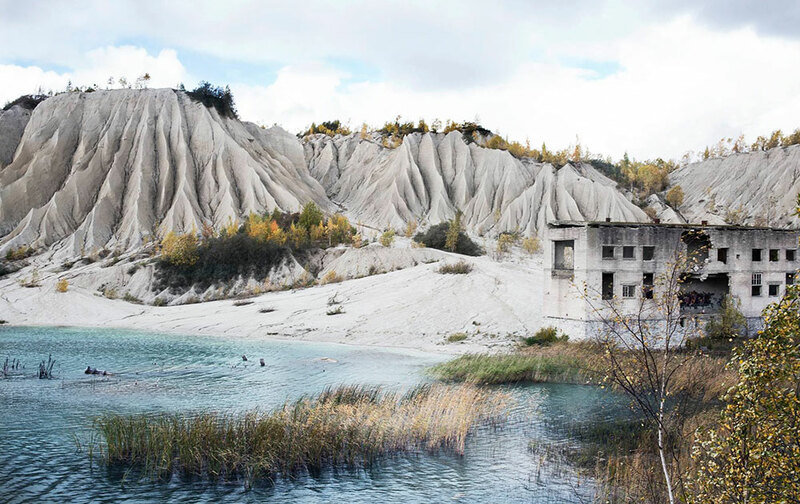 Visitors today can still enjoy the Soviet-era sanatoriums that stand amid the pine trees behind the resort’s 33km of white sand beach, providing a warm and welcoming alternative to the often chilly waters of the Baltic Sea. Post-spa treatment, be sure to take a stroll among the charming Art Nouveau seaside villas, which give the place a distinctly fairytale feel. A short half-hour train ride away from Riga’s Central Station, Jūrmala is made up of a number of villages, the most popular of which is Majori — alight the train here to begin your coastal sojourn. Located 3km west of the Old Town, Stroomi is the perfect place to catch a few rays during a city break in Tallinn. Set in the Pelguranna neighbourhood, what Stroomi lacks in idyllic backdrop (compared to its local rival, Pirita), it more than makes up for in beautiful sand and charming local character. During your visit you might partake in a wide range of watersports, play volleyball, go for a run along the beach path or, preferably, lie back on a towel in the sunshine while enjoying a delicious Estonian snack. Stroomi has been the subject of social media fascination for its mysterious ice spheres, which form on the shore in winter — be sure to look out for this strange but wonderful natural phenomenon if you visit in the winter months. How to reach this suburban oasis? Take a 20-minute ride on bus 40 from the Viru Keskus shopping centre or 48 from Freedom Square. Lacking in any kind of local flavour or authenticity, Sky Beach Club isn’t necessarily the kind of place we’d usually recommend. The novelty value of being able to escape to a tropical (if pricey) paradise in the depths of a Kazakh winter, however, seems too attractive a proposition to pass up. A getaway to warmer climes in the heart of Astana, Sky Beach Club is an indoor, climate-controlled beach, complete with imported sand and palm trees. The beach is set inside the Khan Shatyr Entertainment Centre, a shopping centre which is billed as the world’s largest tent. 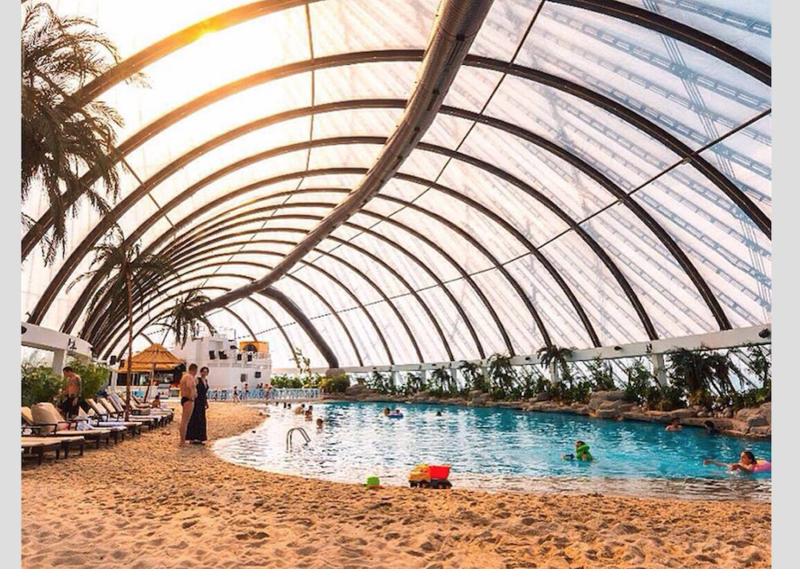 Made from a high-tech material that absorbs sunlight, it’s endless summer inside Khan Shatyr. 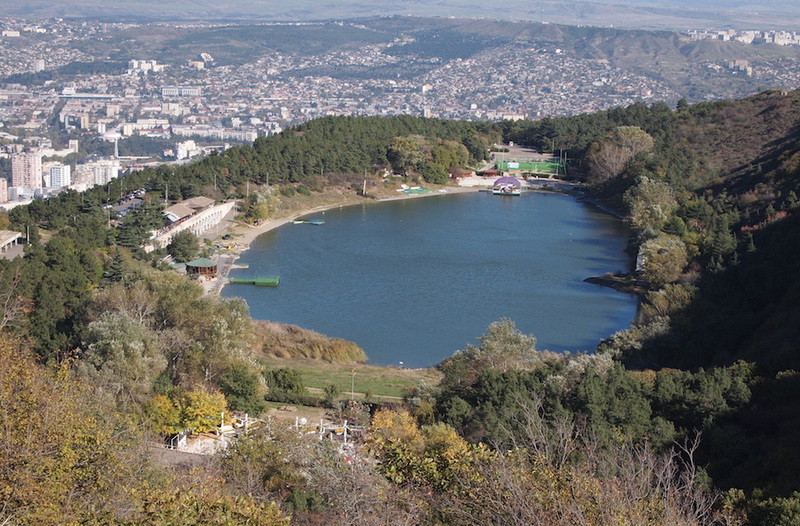 If you can’t make it over to the Black Sea coast to escape the heat of a Tbilisi summer, Turtle Lake is a good bet for a relaxing day not too far from town. The lake may not be huge, but its stunning elevated location makes it a weekend favourite for Tbilisi residents looking to escape the hustle and bustle of the city. Head here for some leisurely pedalo action, a refreshing dip or a waterside dinner at one of the lake’s various restaurants. If you climb the hill towards either the Svan Tower or Tbilisi TV Tower, you’ll be greeted with impressive views. To reach the lake by public transport, take the recently reopened cable car from nearby Vake Park.